Ofcom has formally awarded BLTV, the operating company behind Birmingham's local TV station City 8, a licence to operate local TV for the Birmingham area. The licence was granted on the 9th June 2014, but officially commences on the 3rd November 2014 for a duration of eleven years. 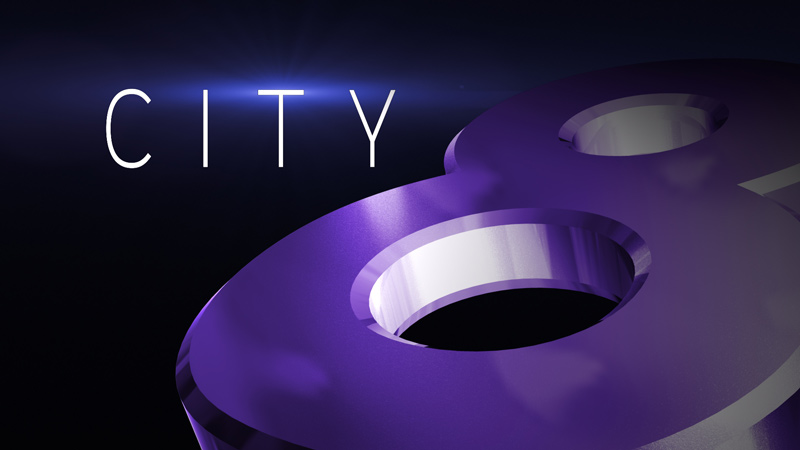 It means City8 - formerly known as City TV - will be allowed to broadcast on Freeview from that date onward, which is just under two years to the date Ofcom named the company as the winner of the Birmingham local TV licence. City 8 will be required to broadcast 23 hours of first-run peak time programming every week. Peak time is defined as being between 18:00 and 22:30. City 8 coverage map. Image: Ofcom. The channel will launch on Freeview channel 8 and broadcast to the West Midlands using a directional antenna at the region's main transmitter in Sutton Coldfield and a secondary transmitter at Brierley Hill. Local multiplex operator Comux will provide the technical infrastructure for the transmission on Freeview. Comux already broadcasts POP and Chart Show TV on Freeview channels 75 and 67 respectively via the local multiplex to viewers in City 8's future coverage area.